The Olive is one of my favorite shells. Shaped liked pointed olives, they have been used for jewelry and as ornaments since prehistoric times. 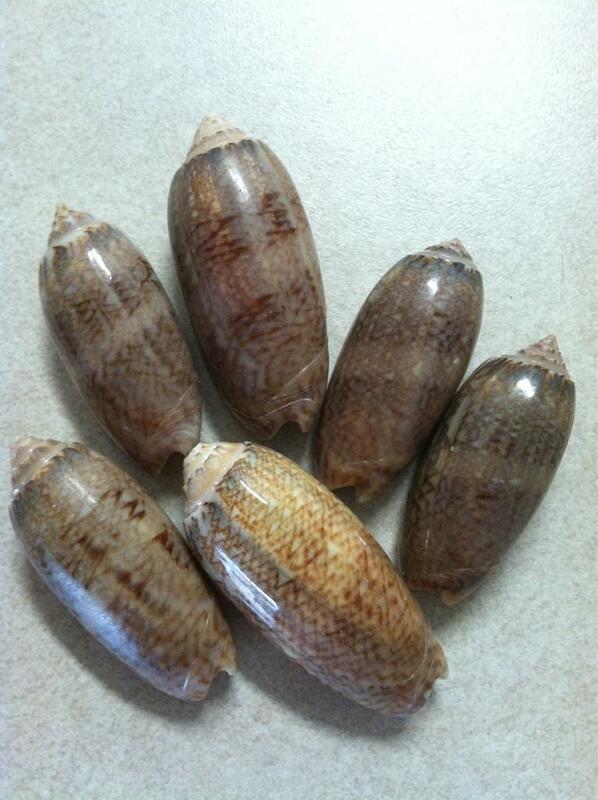 Each shell has its own shell color and design. This is due to a dye the animal secretes continuously over its lifetime. Using its large foot to pull its prey down, the olive snail feeds on worms, bivalve shell animals and crabs. The animal of the olive is actually larger than its shell and can extend itself to cover the entire shell. They spend most of the day buried in sand and search for food at night. They are popular with collectors because of their almost limitless range of patterns and colors. Most markings in olives consist of zigzag markings.